If you enjoy a good travel journal, then this book might be for you… on the other hand, if you’re interested in celestial navigation, this book is definitely worth a read. 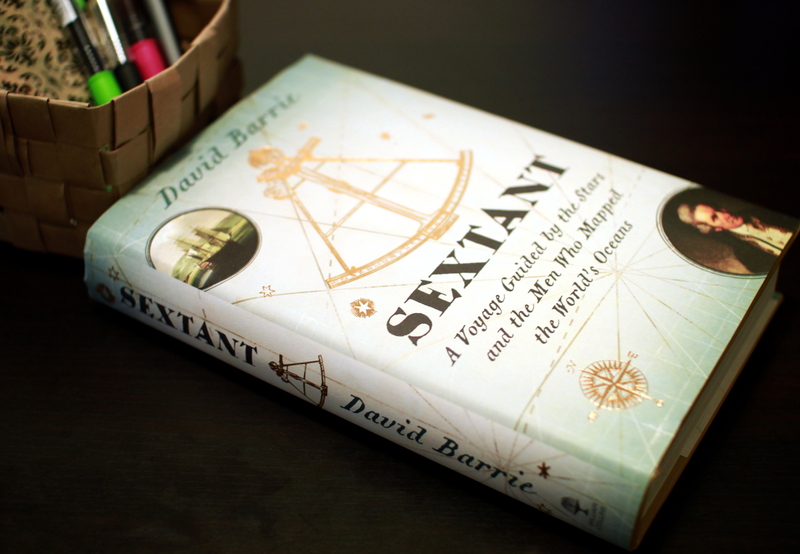 In “Sextant”, throughout the book you can read about the crossing of the Atlantic Ocean on a yacht in the 1970s and in addition you get to read about different expeditions through centuries where navigation was obviously very important and either made the expedition a success or a failure. When I was in my early teens I got obsessed with explorers – not just any explorers though – they’d have to be polar explorers. I was fascinated with the cold and the snow (and in my 58 degrees north location, there are winters where temperature can fall to minus 30 degrees Celsius) and the people who would want to spend months on skies to cross Greenland (Nansen) or spend months aboard a ship wintering in sea ice… or defy the Southern seas and a continent covered in ice and aim for the South Pole – even in my essays I’d be writing about Scott and Amundsen or Shackleton. I’ve still not quite gotten over that obsession. But now I also enjoy reading about expeditions to other locations. This book does mention Shackleton, as in his expedition it’s easy to imagine how errors in navigation would have made the already bad situation even worse. 3. you won’t take knowing your location or precise maps for granted. Oh and it’s 2015 in the Eastern hemisphere, so happy new year! This entry was posted in Non-fiction and tagged book review, books, David Barrie, navigation, Sextant. Bookmark the permalink.